No one intends to misplace their car keys to his or her Hyundai. Having a car key replaced in Phoenix is really a simple thing to do. Get the cheapest rates on Hyundai car key replacements in Phoenix right now by calling AZ Car Keys. Losing your car keys can be frustrating and costly. Cars use different key types from basic keys to switchblade; laser cut all-in-one keys and smart keys. Car keys have evolved over the years as car manufacturers focus on dissuading car thefts but these advances have increased the cost of replacement car keys by as much as 61% since 2013. The costs vary from area to area and it also depends on the kind of car model whose key needs replacing. Different car manufacturers produce different car keys for instance there are types of Hyundai car keys from flip keys to fob keys and keyless entry keys. Get Replacement Hyundai Car Keys in Phoenix, AZ! Hyundai owners could only seek the help of car key locksmiths who had experience with varies types of Hyundai car keys. These were common in the 90’s. They offered no other security feature except their unique cut. Copying these keys was relatively easy; locksmiths used the same equipment used to cut other keys. These would cost $3 to $12. The electronic fob, which is also known as a remote key, is a programmable key that could be purchased from the car manufacturers or dealership. The price varies between $50 and $90. Car manufacturers began putting transponder chips on the head of the key. This chip emitted a signal to the ignition. Some called this an “immobilizer” because if the signal were the wrong one then the car would be immobile, never starting. Hyundai started using transponder keys in 2006 to 2011 The models that use transponders are the Hyundai Azera, the Elantra, the Equus, Genesis, Santa Fe the Sonata and the 2008 Hyundai Veracruz. The shank of a transponder key is a basic laser-cut key whiles the transponder part of it is encased in the plastic key top. These are programmable which is why it is advisable for car buyers to make an additional spare key if they are prone to losing their keys. 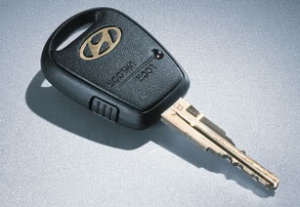 A replacement transponder key can cost $75 – $160. The smart keys became popular types of Hyundai car keys in later models. This particular type of key has a shank that flips into the fob when not in use. The shank can be made with a basic laser key cutter. The components of switchblade key can be purchased separately and each component can start from $60. In the case where the entire key needs to be replaced then users can expect to pay $200 and $300 for making the key and for programming. Smart keys aren’t keys but they are fobs that can either be inserted in the dash or pressed to turn the car on or off by pressing a button. Smart keys are meant to be the most secure key types. They use programmable codes that are meant to make it harder for would be thieves to hack into your ignition system. Modern keys are expensive because of the complexity of the technology used. The best thing for any car owner is to keep their spare keys in a safe place but if it happens that driver loses both the day-to-day key and the spare key the best thing to do is go to a key maker who has experience with different Types of Hyundai Car Keys. Having a single set of car keys is not advisable because losing that one set can necessitate towing of your car to a dealership which means you will have to contend with towing fees and actual replacement key costs. Car key specialists like AZ Car Keys can handle all sorts of problems you might have with your car key. In the motoring world, most people like to claim that they can create replacement keys for different car brands and models but that is far from the truth. 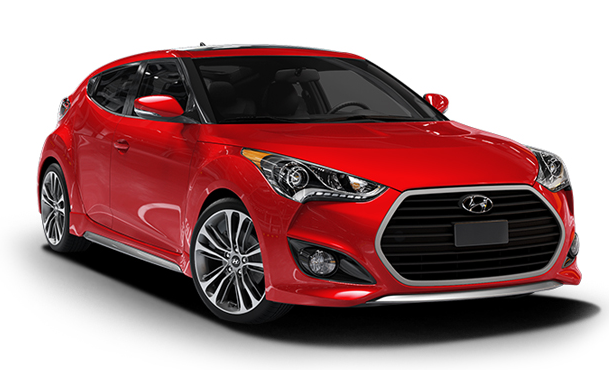 Your best bet when you lose your car keys is to go to AZ Car Keys who know all about the types of Hyundai car keys and can deliver within a timely fashion. Call AZ Car Keys Today For Your Hyundai Car Keys! These guys are the best! They were at my house within an hour and a half of calling them to replace my Excel key. Very prompt and polite.